Add Multichannel E-Commerce Listing and Order Management to YOUR platform and YOUR user interface in 60 days or less. More features. More customers. More Profit. … It’s all in there – and more! Their API proved to be straightforward and flexible… API function and process availability was extensive. Their documentation was comprehensive and they continuously updated it in response to our use cases and questions. They made themselves readily available to assist us including providing both formal and ad hoc training and extensive live support. The scalability of their platform was proven after several hundred thousand users were added to the pilot over a short time period…. We would recommend them to others looking to extend their platforms to incorporate multichannel platform management. We built our own user interface on top of the same API we’re exposing to you. From adding new users to multichannel authorization, to listing and order management, all functions are available via an easy to use and understand REST based API. Our documentation includes discussions of how each feature works along with examples and expected results. As part of our onboarding process, you’ll receive direct access to our development team to answer questions and assist with your integration. We support sellers with over a million products and millions of dollars of sales. You can to! 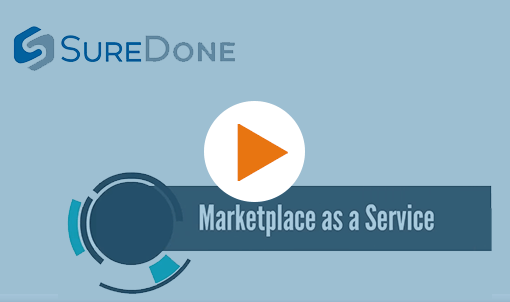 Our platform is layered on Amazon Web Services allowing unlimited and on-demand scaling to meet the requirements of your growing customer base. Making the “build it vs. buy it” decision for adding multichannel listing and order management? Online channels are highly complex and change regularly. We normalize your access and keep up with the changes so you don’t have to. You focus on your own platform development, and we do a great job of focusing on multichannel. After the deployment of the MaaS platform on Alibaba.com’s reseller portal we had several hundred thousand users sign up within a small number of weeks. We scaled. We delivered. 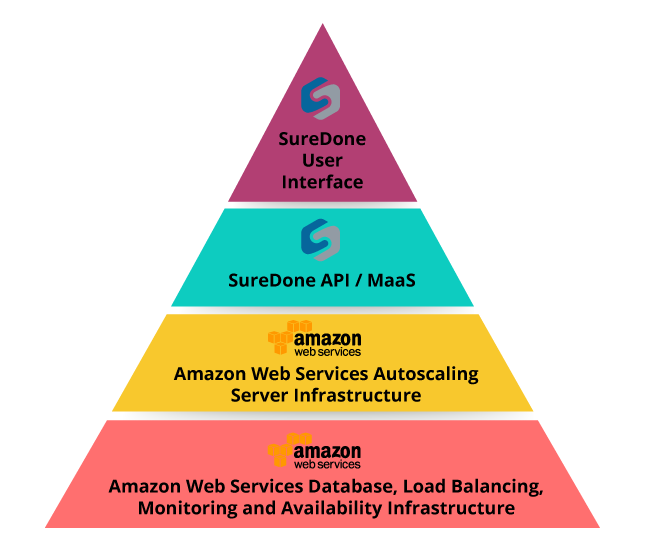 Our own user interface is built on top of the SureDone MaaS plaform, and our infrastructure is built on top of the industry leading Amazon Web Services platform providing unparalleled availability, scalability and security. If you are a marketplace / ERP / Shipping platform, / Distribution company / e-commerce platform / brand / Multi-company conglomerate New Market. get a demo today!